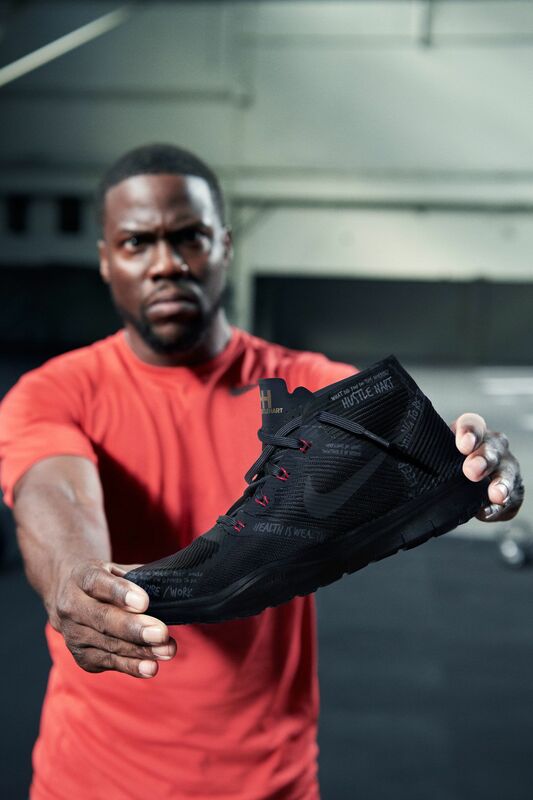 Kevin Hart knows hustle, and the Nike Free Train Instinct ‘Hart' was created to help him, and the world, #MoveWithHart. 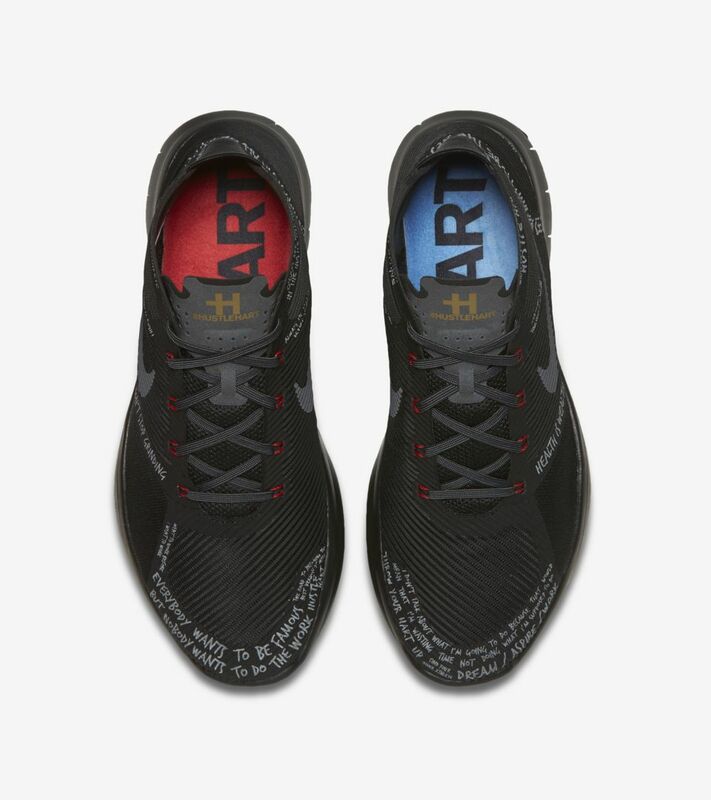 Flexible, dynamic and motivational, Hart remains as bold and irreverent as the statements on his sneaker. 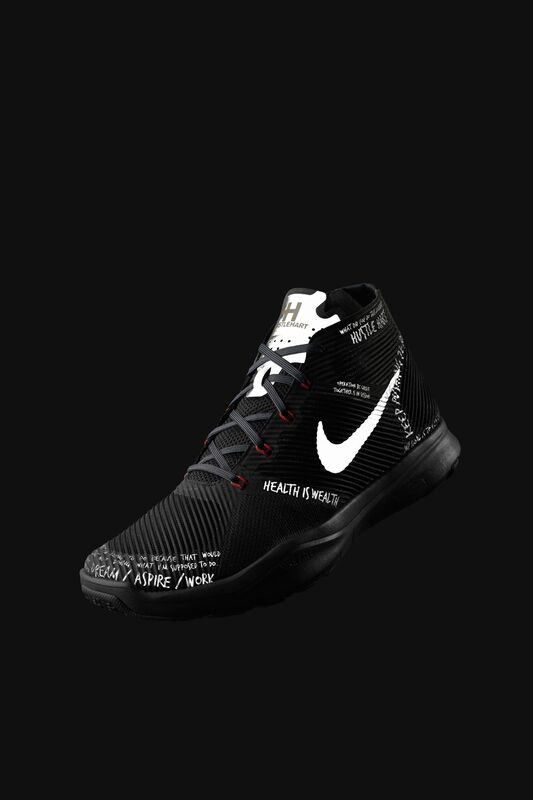 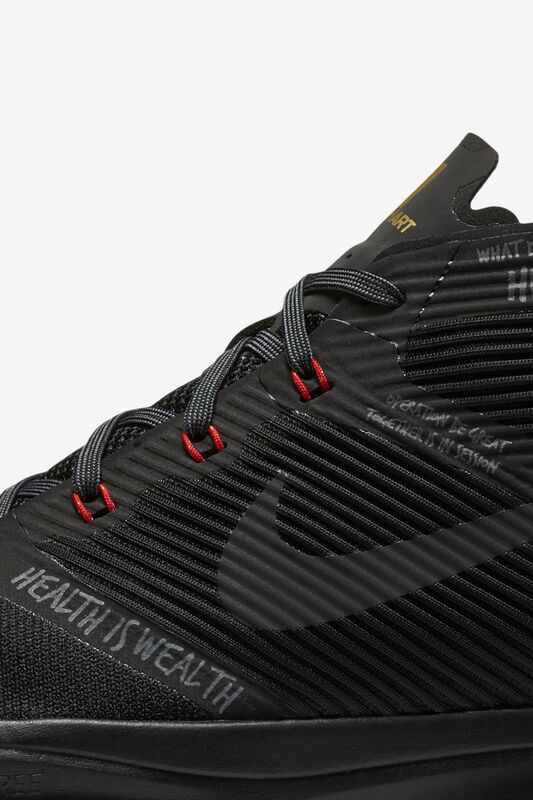 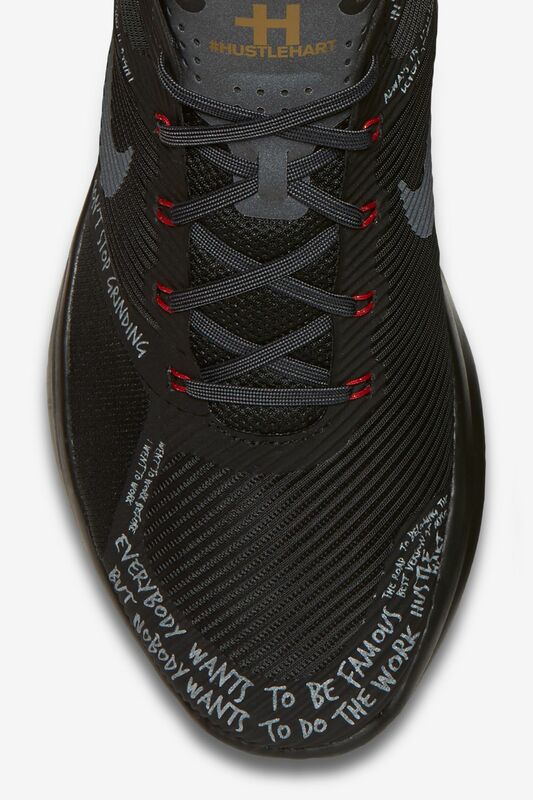 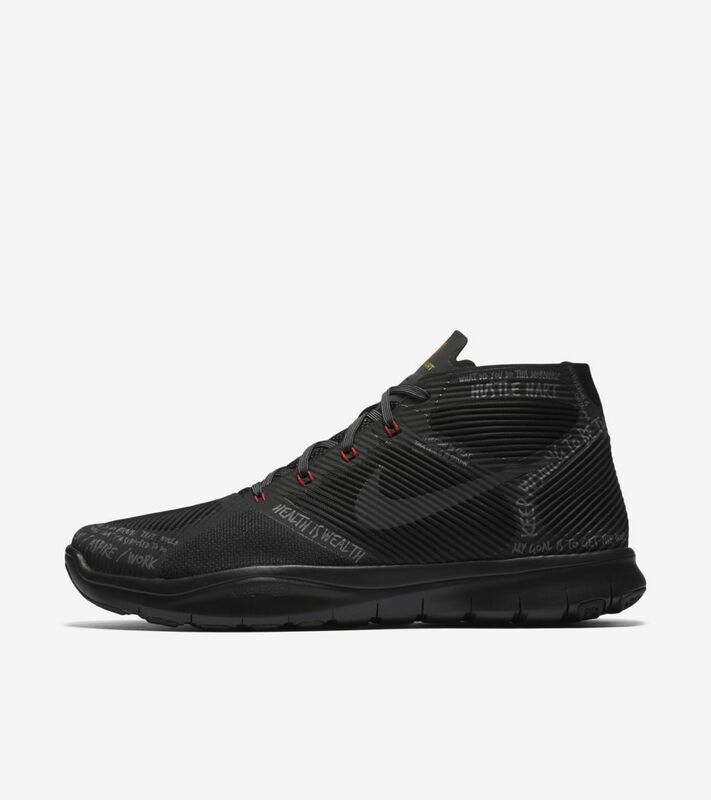 The shoe design features 23 reflective quotes from Hart, including 'Hustlehart,' 'Find Your Inner Athlete' and 'Success is a Mindset.' 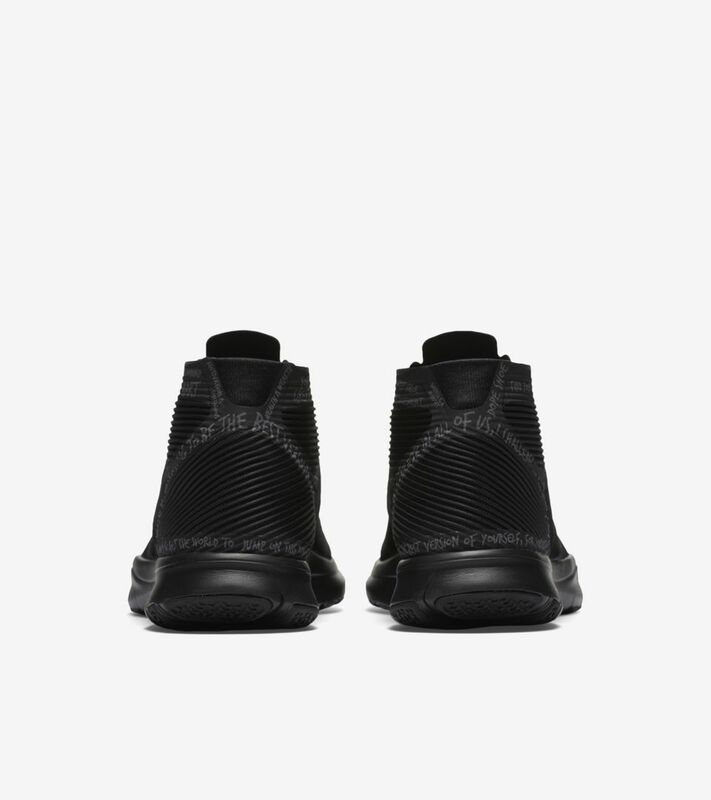 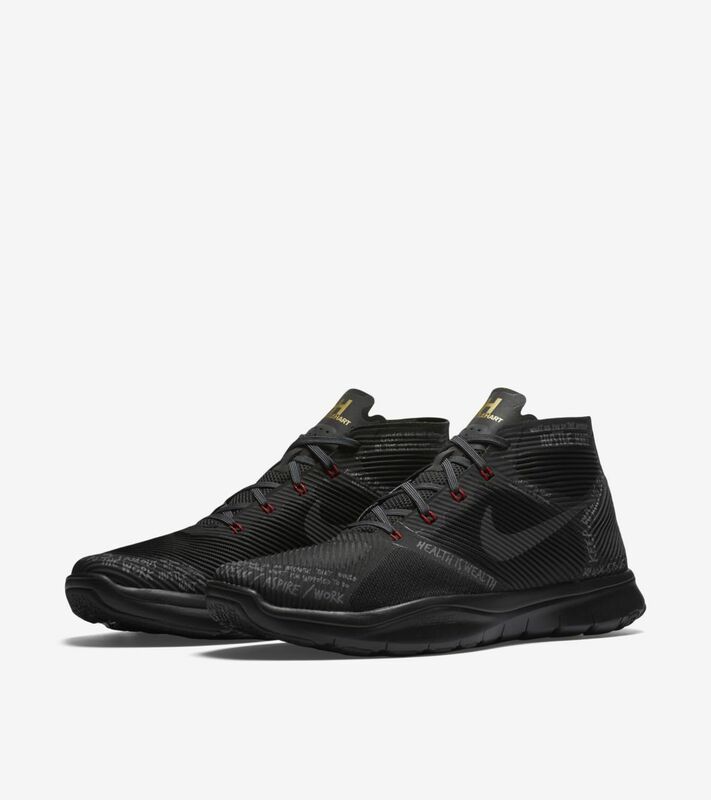 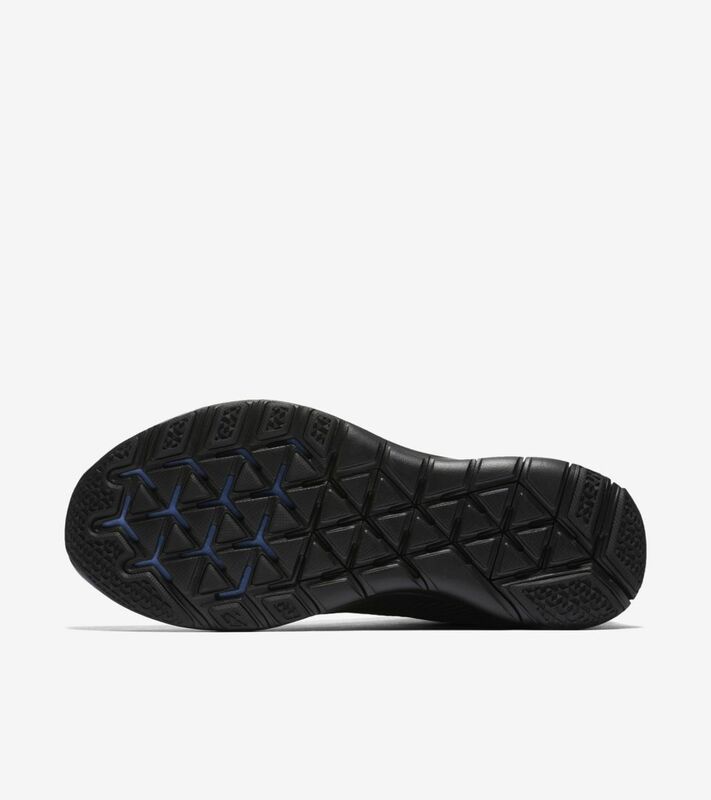 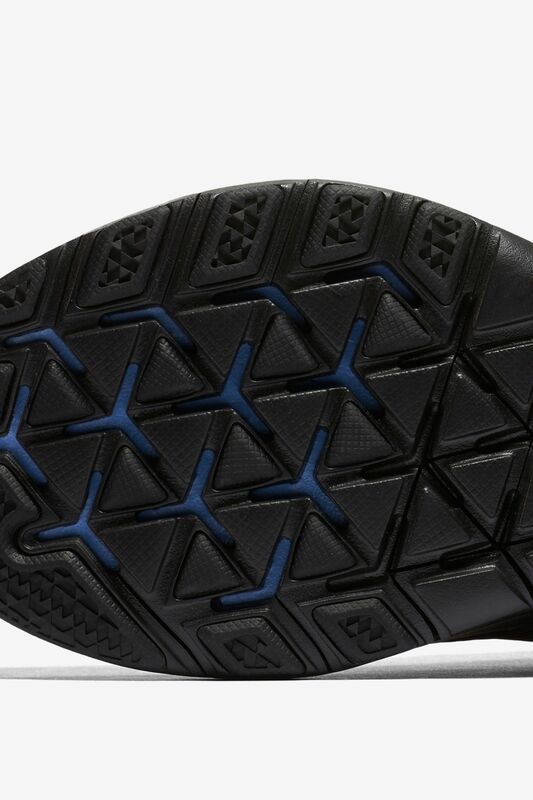 In terms of tech, the Free Train Instinct's warp knit upper keeps you comfortably locked in during lateral movements, while a dynamic Nike Free midsole expands naturally on every landing.